Human beings only need a few things to survive, and it is possible to live without all the comforts of modern technology and the developed world. This may be seen as a purer experience, free from the hypnotic influence of cell phones and other material items. Yet it’s also not usually permitted to camp out in the woods on land that doesn’t belong to those residing on it, though that fact is unlikely to dissuade people who seek to shun society and live away from it on their own. Trying to reinsert a self-imposed outcast back into the normalized world is a difficult process not likely to be met with success. 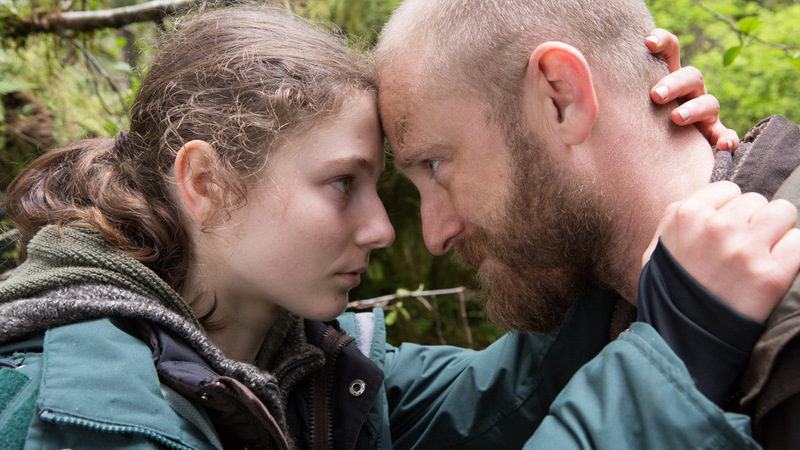 Will (Ben Foster) and his daughter Tom (Thomasin McKenzie) live in the woods in a nature reserve outside of Portland, Oregon. While Will prepares Tom for detection with frequent drills, he can’t stop them from being located by authorities who arrest them and then seek to relocate them. Tom, who does like living away from people, embraces the opportunity to be surrounded still by nature but also by new friends, while Will has considerably more difficulty acclimating, pushing his daughter to leave it all behind and retreat back to the wilderness. Director Debra Granik’s last narrative film, which premiered at the Sundance Film Festival in 2010 and launched Jennifer Lawrence’s career, was “Winter’s Bone.” This follow-up is less of a dark thriller but still remains laser-focused on its two protagonists, whose social skills leave much to be desired and who are compelled most by a commitment to each other and to a rejection of that which distracts from living a purposeful – and effortful – existence. Setting the film primarily in the woods presents enormous opportunity for truly capturing this dynamic and the way that these two relate to the world around them. Foster is known for playing villainous characters, most recently in his underrated turn in “Hell or High Water,” and here, while he’s far from charming, he plays Will as driven most by his dedication to his daughter’s safety but equally handicapped by traumatizing experiences from his time in the military that make him such an isolationist. New Zealand actress McKenzie is a real find, matching Foster in every scene and delivering a mature, vulnerable performance that easily rivals Lawrence’s Oscar-nominated turn. This is a film that uses its surroundings well and presents a magnificent and mesmerizing story of shared loneliness.